The Smog Shoppe is one of the most exciting wedding venues in Los Angeles. It has a laid back vibe with a unique balance of urban-hipness with the tropical feel of a garden. It’s a gem! It’s a hidden oasis in the heart of the sprawling metropolis that is Los Angeles. With our kitchen being right across the street from the Smog Shoppe, along with being a preferred vendor, we cater a ton of weddings along side them. Since our Los Angeles wedding catering company serves up all organic wedding food, the Smog Shoppe’s up-cycled, solar-powered, green-space makes a perfect marriage for any wedding. Nicole and Joey also felt that the Smog Shoppe wedding venue would be a great choice to pair with our Los Angeles wedding catering company. We put our love of great food into each and every dish we serve. We also back it up by purchasing fresh produce the day before, tailored menus for in season fruits and vegetables, and from local farms that use FDA Certified organic practices. It’s more work and preparation than other Los Angeles wedding caterers put into planning their events, but the results and the smile it puts on our client’s faces makes it all worth while. 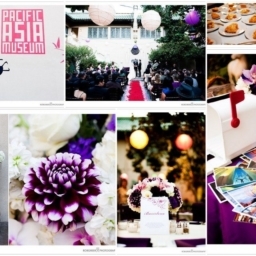 Our Los Angeles wedding caterers prides itself on the extra steps we take in making sure your wedding special. Choosing a reception dinner can take a lot of thought. Nicole and Joey wanted us to create an organic taco bar for their reception dinner, and it made for a fun alternative than the usual plated wedding dinner. Our Los Angeles wedding caterers braised spare ribs, grilled marinated chicken, sautéed onions and peppers, along with a spicy selection of homemade salsas. Sprinkle each taco with fresh cilantro, mist with a lime wedge, wash it down with a glass bottle of Coke, and you’ve found heaven. It’s the quint essential Los Angeles meal. If you have a lot of out of town guests attending your wedding, it’s a must. A special thanks to Los Angeles wedding photographer Brandon Kidd of Brandon Kidd Photography for sharing these amazing photos of Nicole and Joey’s Smog Shoppe wedding. As always, Brandon did an amazing job behind the lens of his camera and our Los Angeles wedding caterers looks forward to the next time we work together. Brandon Photography does topnotch work and super pleasant to work with. 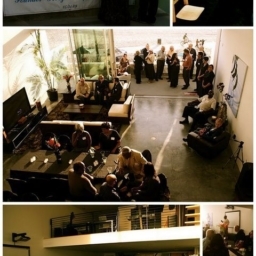 Eco Caters did an event in Venice for the Five Gates Grand opening; The Science of the Healing Spirit. Eco Caters did an all organic wedding at the Smogg Shoppe on November 21st. 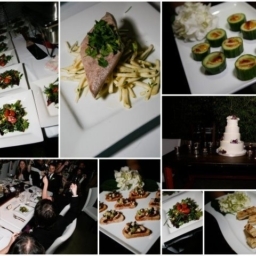 Eco Caters did an all organic engagement party in orange county on November 28th. 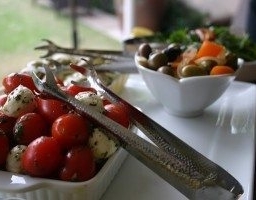 Eco Caters catered for a dinner party in Manhattan Beach on Saturday December 5th. 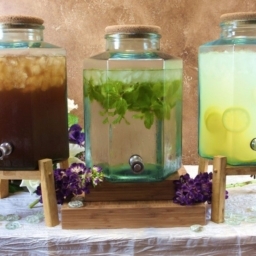 Eco Caters catered for a 75 person cocktail party in Manhattan beach Saturday December 12th. There is nothing better during the holidays than sharing a meal with family and friends. 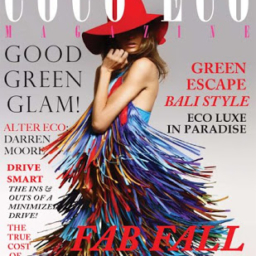 Eco Caters catered for a cocktail party on December 20th. Eco Caters catered for the J Brand Jeans Cocktail Party that took place on Saturday December 12th.